Since banning users is actual modification on the user account you will need to login into your administration area and navigate to the Members link. 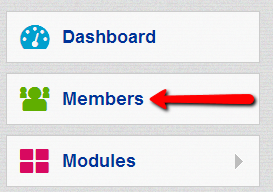 There you will be able to find the member you would like to ban under the Members section. For the purpose of this tutorial we have added two members to our Social Community – Space and Nebula. Let’s say that we have reason to believe the Nebula member is spamming our Social Community with spam contents either via messages to the other members or by submitting spam content on our Blogs. In order to ban the member to be banned we will need to mark the member by clicking on the checkbox located inside the member’s avatar and then use the Ban button. Once the member is banned his name will be colored in red and the member will be no longer active. The process of Unbanning a member is similar with the only difference that you will need to simply use the Unban button instead of Ban. 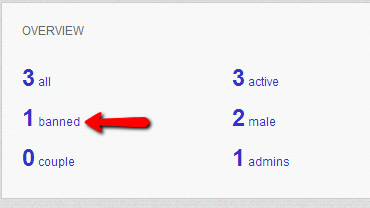 If you would like to see all of the banned users you can simple use the Banned option in the Overview section of the same page. Congratulations! Now you know how to ban members from your Social Community!